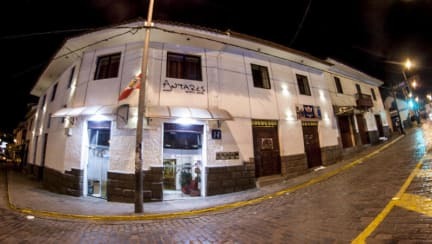 Antares Mystic Hotel i Cusco, Peru: Reservér nu! No show is 50% of the first night. Consult availability, before you make a reservation. 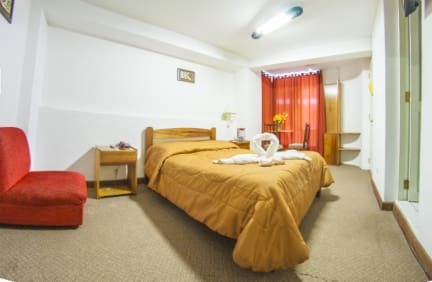 Within the historic downtown, close to the main square, to the colonial churches, to historic monuments, to the most bars and restaurants, just half block from the old train station to Machupicchu (now only available for local people) and in front of the main Central Market of city (Designed by the famous French engineer Gustave Eiffel) where you can appreciate the real life of local people (costume, tastes, clothing). Its a real vital tourism experience. Need a pick up from the airport?